Dr. Nancy Hutchinson (Professor, Queen's University, Ontario) has published textbooks and casebooks on inclusive education used extensively in teacher education across Canada. For the past 10 years, she has focused much of her research on enhancing co-operative education and workplace learning for youth with disabilities and at-risk youth. 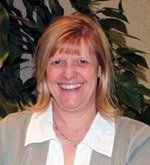 Nancy Hutchinson completed her Ph.D. at Simon Fraser University in 1986, an instructional study on teaching alegebra problem solving to adolescents with learning disabilities. In January 1987 she began a tenure stream position at Queen's University. All her research since that time has been directed to inclusion of individuals with disabilities in classrooms, communities, and workplaces. Her early research at Queen's has focused on instructional studies in algebra problem solving and in career development. She has conducted research on the effectiveness of teaching with case studies to help teacher candidates differentiate instruction in inclusive classrooms, and published textbooks and casebooks on inclusive education used in teacher education. For the past ten years she has focused much of her research on enhancing co-operative education and workplace learning for youth with disabilities and at-risk youth. Dr. Hutchinson and her graduate students have studied the social-emotional experiences of students with many exceptionalities in inclusve classrooms. She currently is Principal Investigator on a grant from the Social Sciences and Humanities Research Council of Canada (SSHRC) on the role of work-based education in enhancing resilience in at-risk youth, and is co-investiagtor on a SSHRC grant on cognitive processing of children with learning disabilities in mathematics. She is also co-investigator and leads the qualitative research team on a CIHR Emerging Team grant studying the transition into school of children with developmental disabilities and delays and their experiences of social inclusion. She teaches courses on inclusive education in the preservice program and courses in exceptional education, social cognition, and qualitative research in the graduate program at Queen's University. In 2010 she won the Carol Crealock Award presented by the Canadain association for Educational Psychology for her mentorship of graduate students and her contribution to the field.